Hey everyone, I’ve moved house to Hampshire and haven’t had the internet for a while. I’ve got a few pieces of news, firstly I now have 2 helpers for emails so you will hopefully get replies a lot more often now! Kitty Kotori is the wonderful piercer at Black Rabbit and she is also a magical unicorn who deals with all the difficult problems we might encounter with this evil, internet based method of communication. Secondly I am currently looking for a premesis in Winchester for a new studio, I love working at Black Rabbit but the time has come again for me to set out on my own again! I miss having my own place and I love Winchester, so it just seemed the next logical step! Especially as I now live in Hampshire! So I’ve only got a couple of updates as my photo-taking discipline has gone right out of the bloody window! 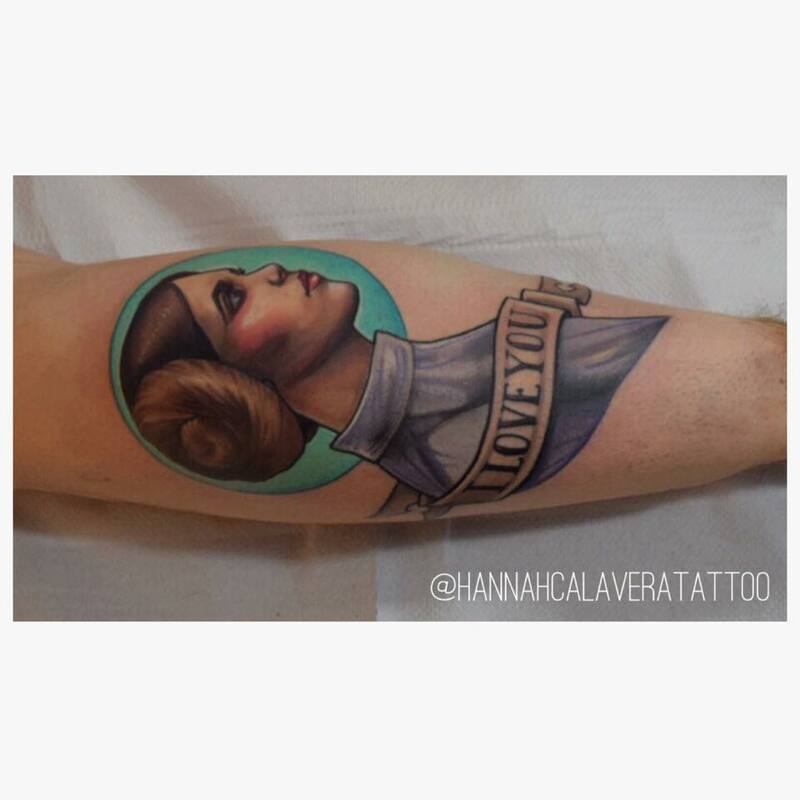 Han will be joining her in a few weeks! 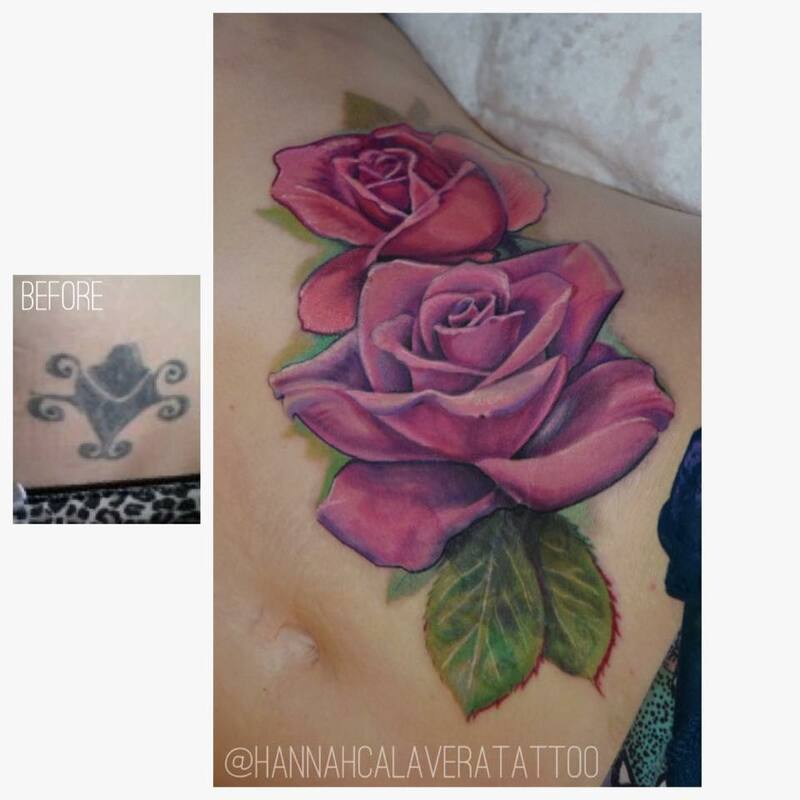 Here is a huge cover up tattoo, I’ve been asked for a lot more of these recently…I WONDER WHY??? I’d normally prefer two smaller sessions for something like this but Izzy is a hydrotherapist and cannot spend two weeks out of the pool so we did it in one session, just under three hours I think. I also have a few new guest spots where I have plenty of space, please check my travel section for details about Manchester, Birmingham and conventions! 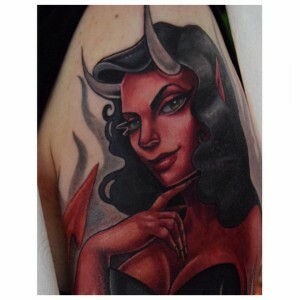 I got to do this naughty devil lady tattoo on Joe too, I wonder if any other tattooists have clients as amazing as mine. They really are the best!